Suffering from dry, flaky and itchy scalp? Looking for a natural way to keep your scalp – and hair – healthy and beautiful. Discover the benefits of tea tree oil for dandruff cure and scalp care in this complete guide. Tea tree oil is obtained from the distillation of leaves of a plant native in Australia. It is naturally antifungal and antibacterial and is used for treating many skin problems including acne. Aside from skin problems, did you know that tea tree oil can also be used to treat dandruff, psoriasis, scalp eczema and ringworm, among others? A study by the Journal of the American Academy of Dermatology revealed that nearly 50% of those who use a shampoo with 5% tea tree oil over a 4-week period experienced a decline in dandruff. How does tea tree oil help with dandruff? Dandruff is a common scalp disorder that’s prevalent in people with oily skin. 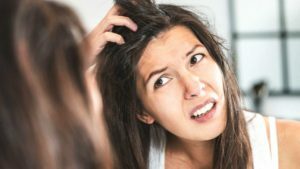 Although the cause of dandruff is unknown, dermatologists believe that seborrheic dermatitis (skin condition) is one of its causes. Other reasons for dandruff include emotion, stress, reaction to hair products, hormonal imbalance, and excessively dry skin. Using commercial shampoos containing harsh chemicals add damage to your hair and may worsen your scalp condition. There are natural treatments such as using tea tree oil for dandruff cure without side effects. Tea tree oil contains terpins, known for its antibacterial, antiviral and antifungal properties. This helps penetrate and unclog hair follicles, killing microorganisms that cause scalp irritation and dandruff. Tea tree oil moisturizes hair and scalp. It helps remove dead skin cells and dirt so that you can have a healthy environment for hair growth. This oil is a natural antiseptic and germicide that kills germs that cause scalp, hair and skin problems. It removes excess oil for a healthier scalp. It also speeds up the healing of wounds and irritation, while preventing the condition from spreading. 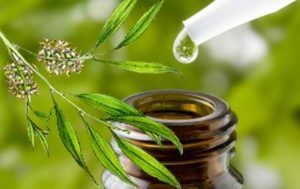 Tea tree oil is a known miracle treatment for treating everything from sinusitis to athlete’s foot. You can use tea tree oil for dandruff on its own or mixed with other ingredients. Mix carrier oil (jojoba, oil, coconut or almond oil) and 10-15 drops of tea tree oil. These are my top recommended tea tree oil brands. Apply to hair and scalp, and massage for a few minutes. Wash with shampoo. Apply conditioner if desired. Note: You may feel a tingling sensation on your scalp. This is normal. You can use this tea tree oil mixture for dandruff, smelly scalp and scalp ringworm. Pour 1 cup of water in an empty spray bottle. Add 10-15 drops of tea tree oil. Cover and shake to mix it well. Spritz your DIY tea tree oil spray on your scalp throughout the week whenever it feels dry and flaky. Read this guide to some of the best tea tree oil recommendations. 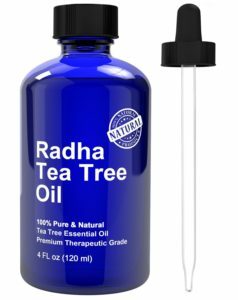 One of the favorites is the Radha Tea Tree Oil. Aside from the above DIY hair treatments, there are also natural tea tree oil for dandruff shampoos that you can use. 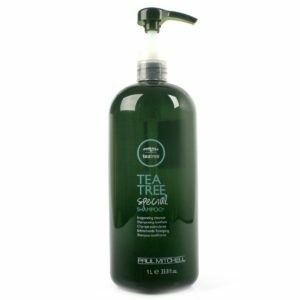 My favorite is the Paul Mitchel Tea Tree Special Shampoo. It comes in a large 1L bottle and is definitely worth buying. If you are sensitive to the smell of commercial dandruff shampoos, then you will appreciate the mild scent of this tea tree oil shampoo. It helps remove flakes from hair and cleans your dry scalp.